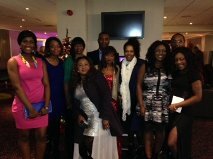 We had the most fantastic night out for our staff Christmas dinner and dance at the Novehotel, Wolverhampton on Saturday. We also had a Abba Tribute band and they were brilliant. Everyone looked fantastic too!!! !